For the fifth year in a row, Dr. Sunjay Kaushal was named a "Top Doctor" in the specialty of Pediatric Cardiac Surgery by Baltimore magazine. 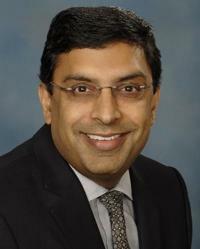 Dr. Kaushal is director of pediatric and adult congenital cardiac surgery and co-director of the children's heart program at the University of Maryland. Dr. Kaushal performs complex surgeries on pediatric patients with congenital heart conditions. By adding Dr. Kaushal's surgical capabilities to the Children's Heart Program, the Children's Hospital can now perform complex procedures that previously would have required families to seek care outside of Maryland. As a parent himself, Dr. Kaushal strives to treat each patient and family as if they were his own. Dr. Kaushal is leading research to address hypoplastic left heart syndrome (HLHS), a life-threatening congenital heart condition in newborn babies. If left untreated, HLHS is usually fatal in the first weeks of life. Currently there is no cure for this devastating condition; but, by way of two new clinical trials, Dr. Kaushal, the University of Maryland Children’s Hospital, and its team are preparing to take a major step to improve – and possibly save – the lives of our tiniest patients.